Bring to mind your most recent purchase. Can you think of why you chose that specific brand? Was it something you genuinely needed or an impulse buy? Odds are you purchased it because you found the product interesting. While it is true that you needed shampoo, and most brands would have sufficed, you probably went along with that expensive-looking, sleek bottle to make you feel fancier. 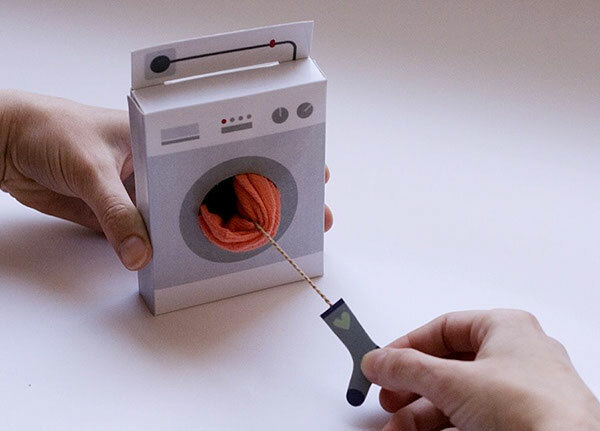 This is what the brands achieve with the help of packaging. 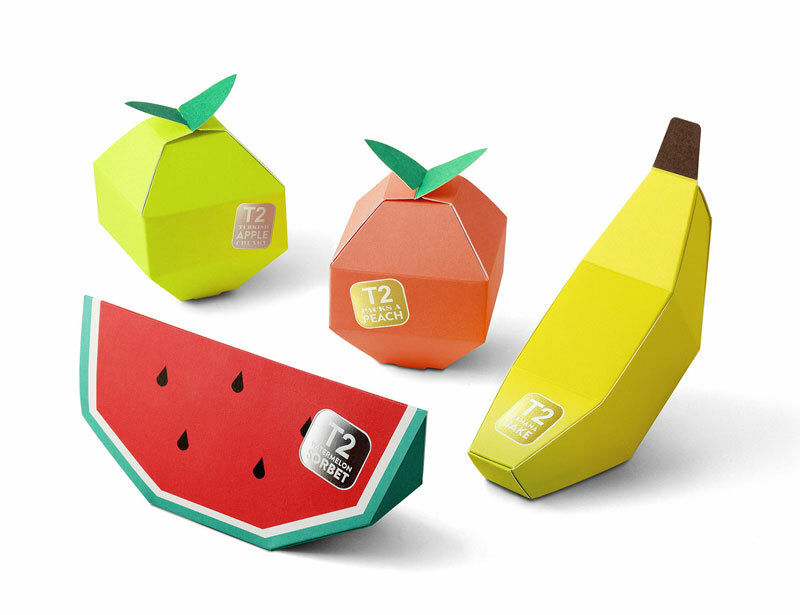 Packaging, when done creatively and correctly, is ultimately the major factor that sells your product. 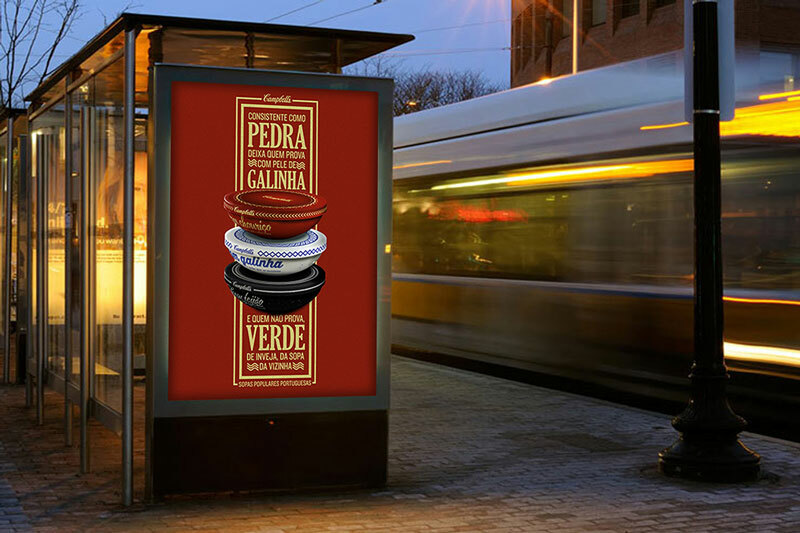 It sends a message, draws attention, and makes consumers feel a certain way. 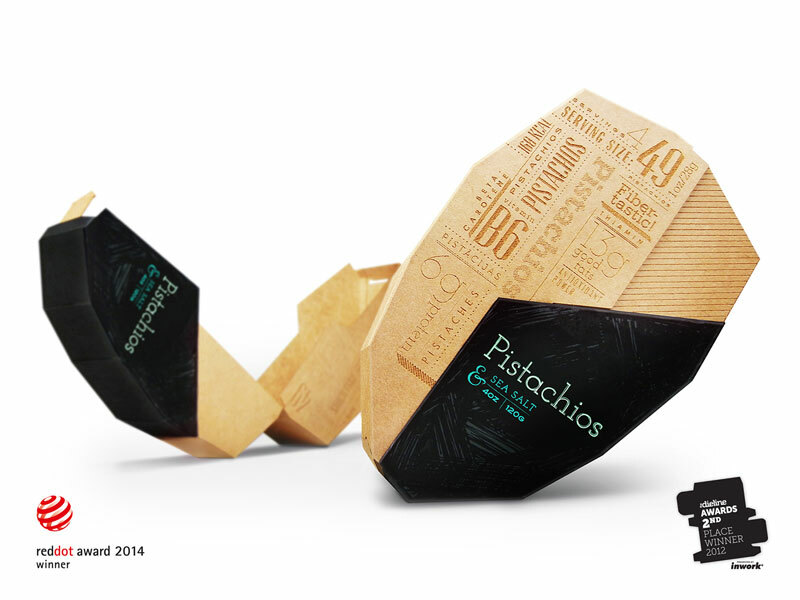 Remember how McDonalds went gaga with the new packaging! 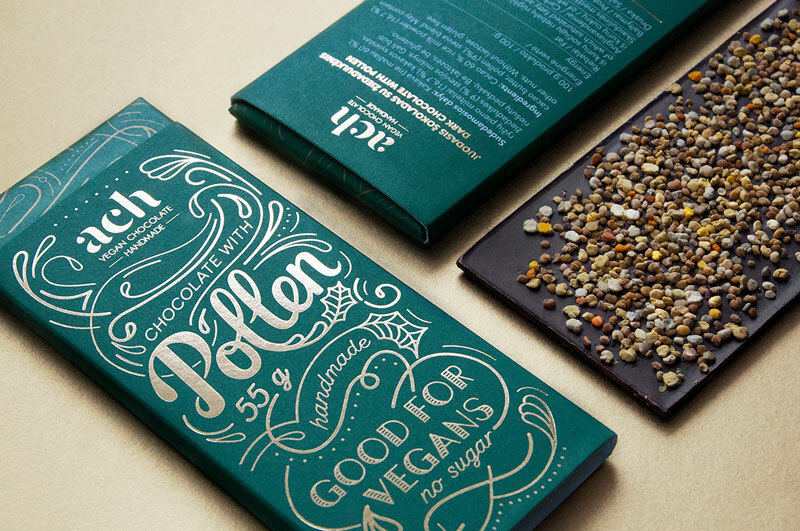 Nothing warms the soul and makes the heart jollier than a hearty bar of chocolate. 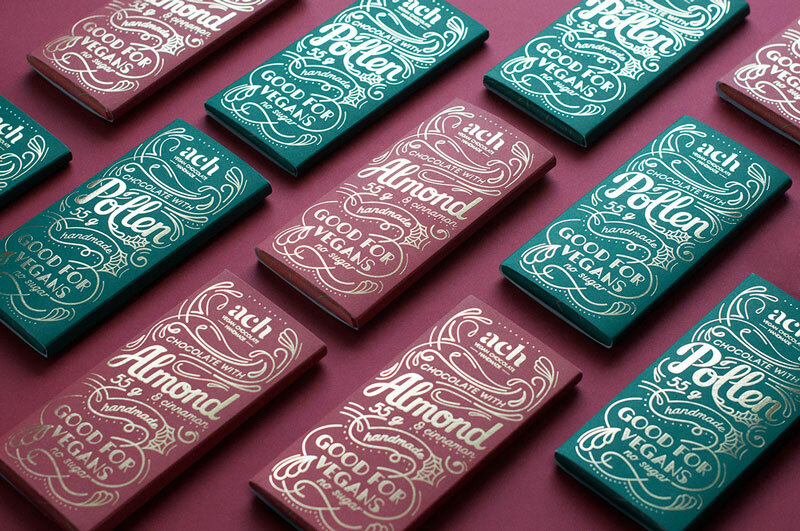 The Lithuanian brand “ACH” is well-known for their exquisite and decadent vegan chocolate. 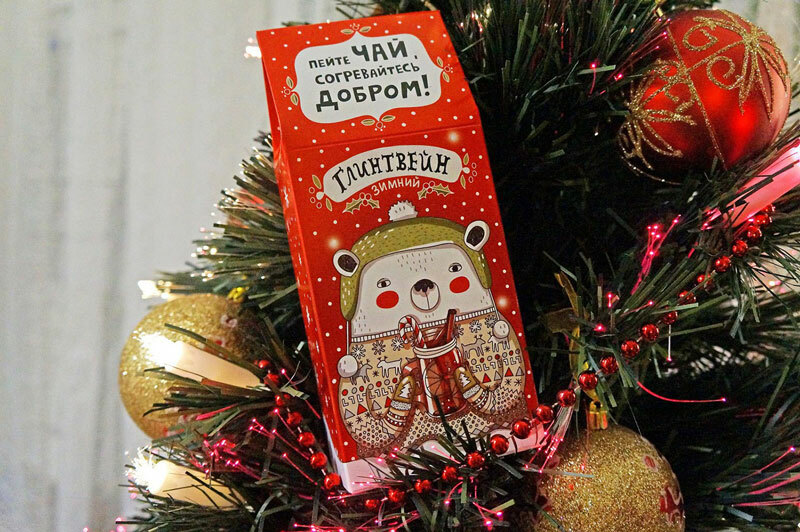 They launched a limited edition series for Christmas – the loveliest holiday of the year; rich and enchanting chocolate replete with pollen and roasted almonds. 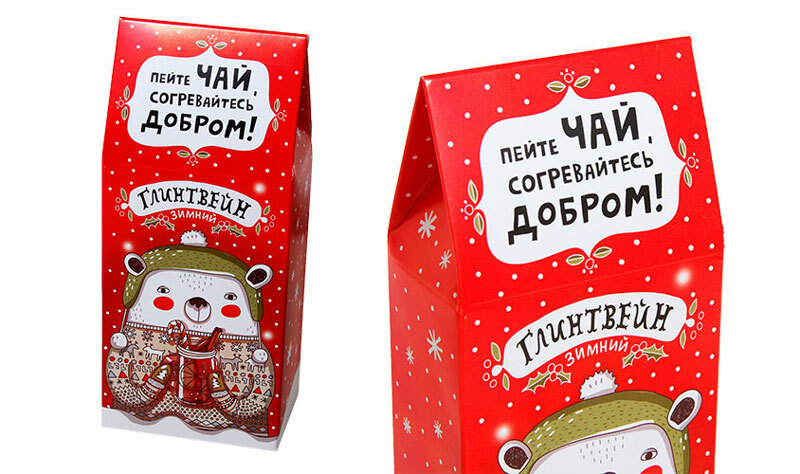 These packages, designed by Gintare Ribikauskaite, aspired to incorporate the spirit of holiday season and winters, which was accomplished by leveraging gold foil, traditional Christmas colors, and intricate graphical and typographical elements which transport the consumer right into the tumult of sparkling holidays! 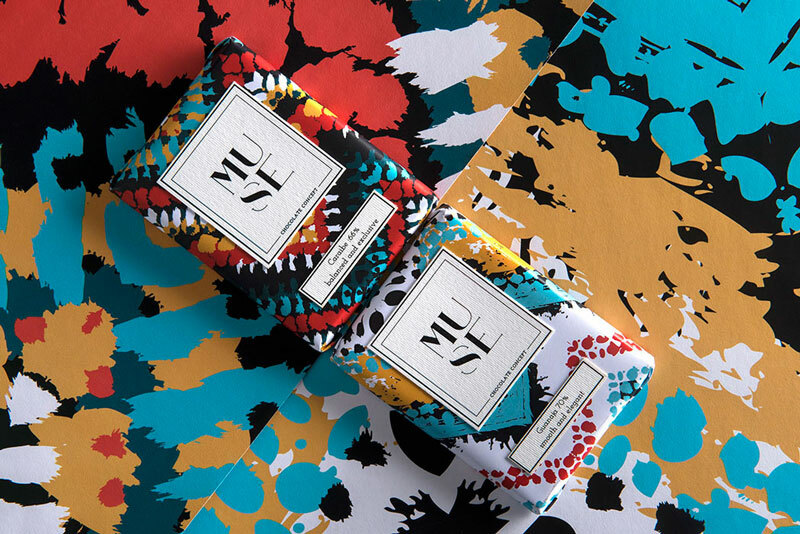 The diligently designed packaging lends an air of exuberance to the product, deeming it a “luxurious treat” even before you peel the wrapper off and delve into its unbounded pleasures. 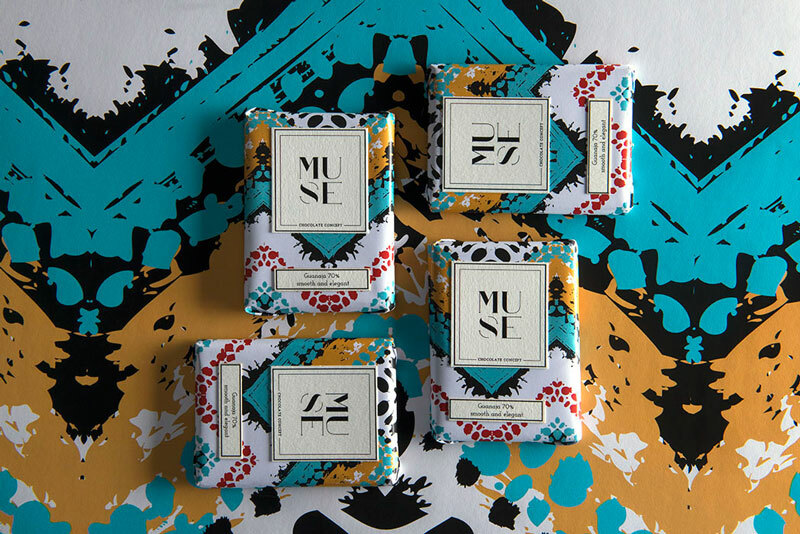 Inspired by the origin of chocolate, Muse Chocolate Concept launched their latest line of chocolate bars. 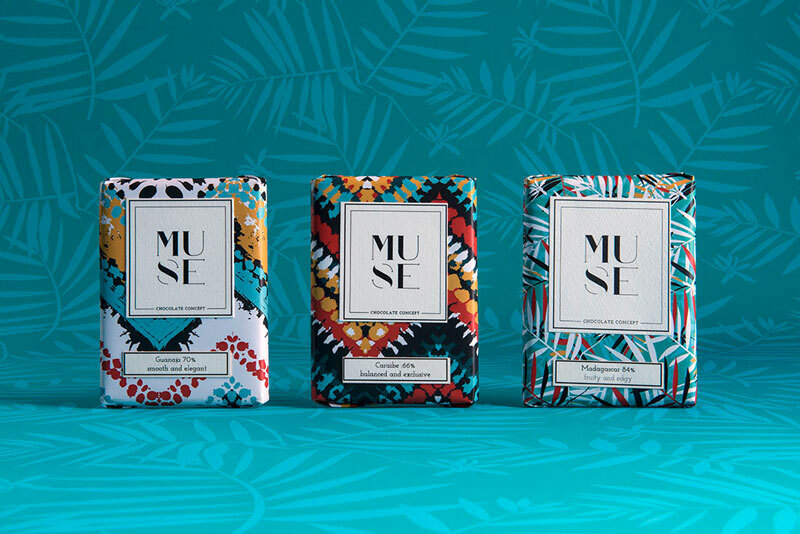 In contrast to the almost posh packaging above, designer Mo Kalache created colorful and vibrant African patterns, done up in warm winter colors, for their packaging to reflect the origins of the product and fit the great tasting chocolate inside. Leveraging unique shapes and a kaleidoscope of colors is an interesting way to stand out. 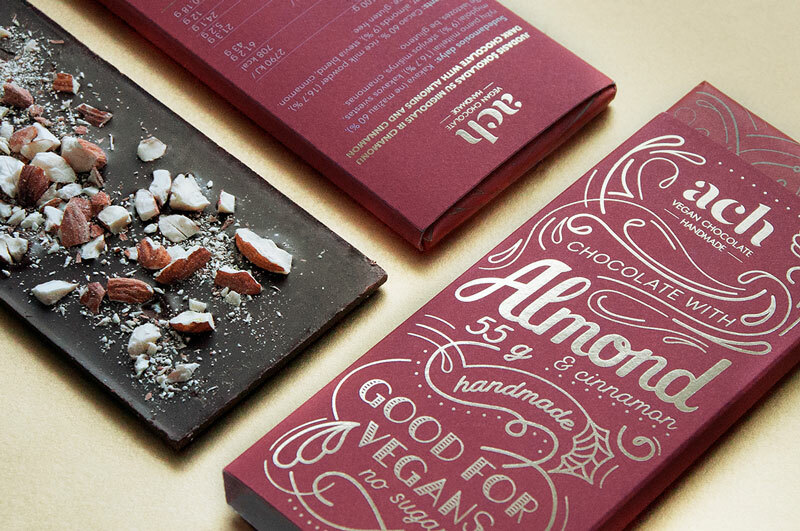 The chocolates shout playful and fun, and promise a good time if you choose them. 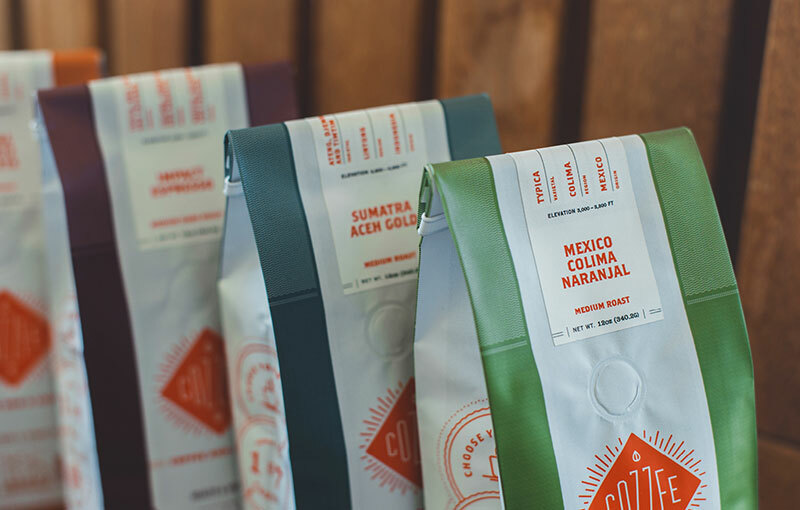 The alternating thin and thick strokes in the minimalistic label font offer a nice reprieve from the “bursting with energy” design, and anchor the design as a whole. When winters knock on your door, pull up your warm woolen socks and brace yourself for the cold! 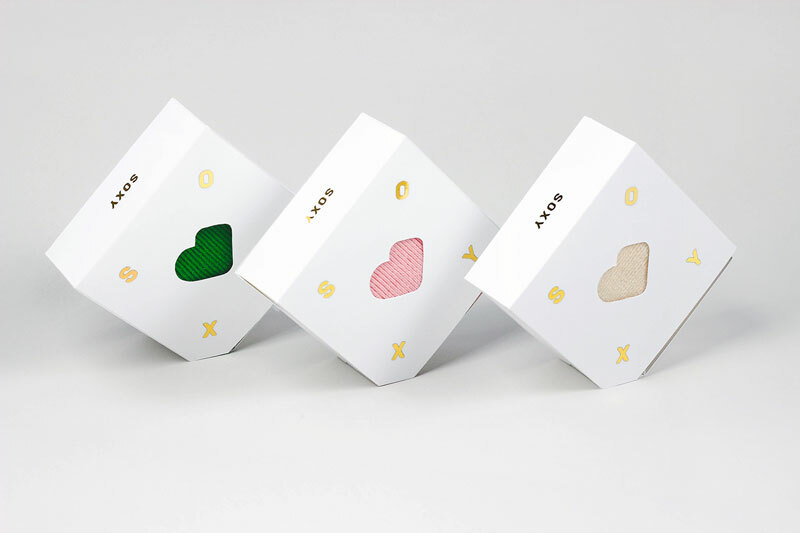 SOXY socks come in an adorable packaging design, designed by Juliette Kim, that utilizes the product as a design element in the packaging. 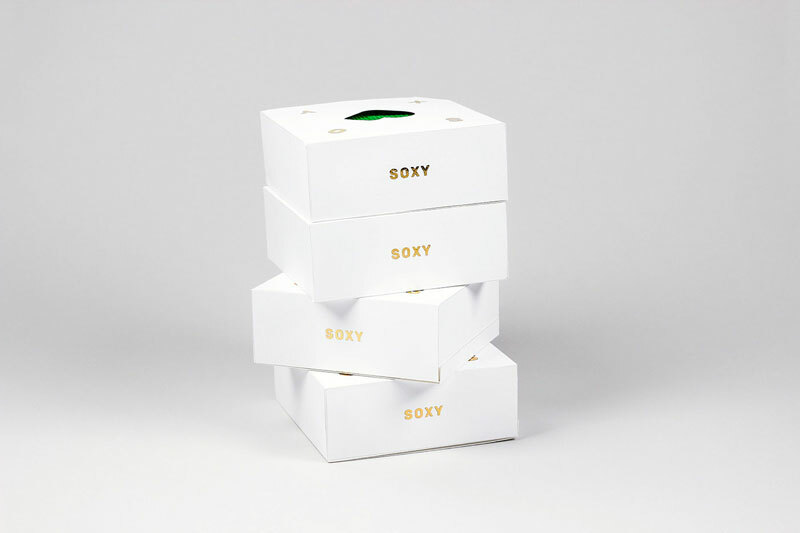 Using the shape, color, or the texture of the product to your advantage can work wonders on your packaging, as SOXY socks have done impeccable. 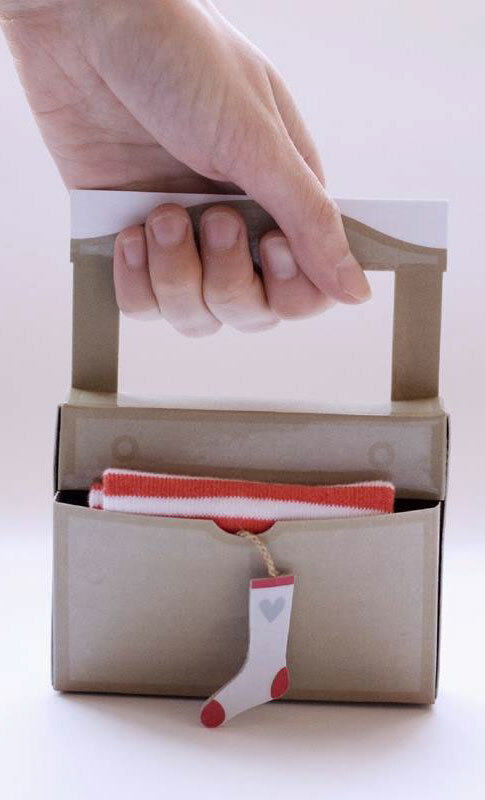 The socks fill up the heart cut-out in the box and the topsy-turvy font on the packing speaks comfort, warmth, and coziness in every box! 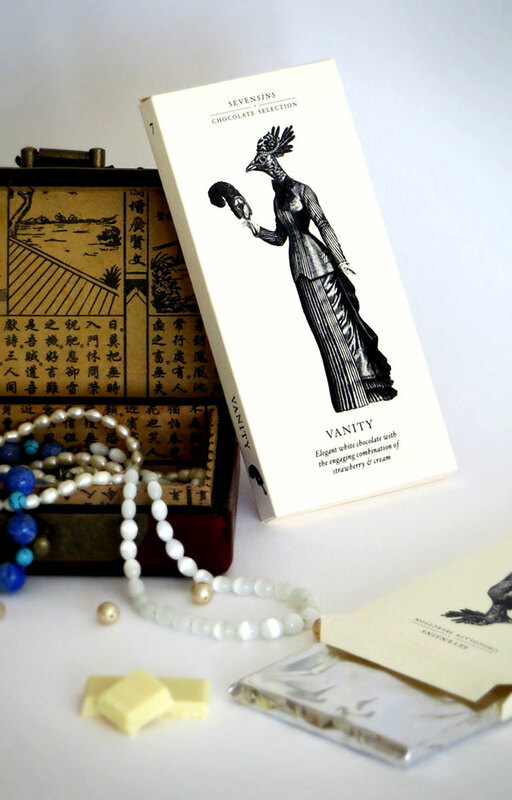 The buyers can easily see the color and feel the texture of the product before making the purchase. This level of transparency is highly appreciated by the customers. We believe that chocolate deserves an eighth deadly sin of its own, but for now, it can just be an accomplice in the other seven. 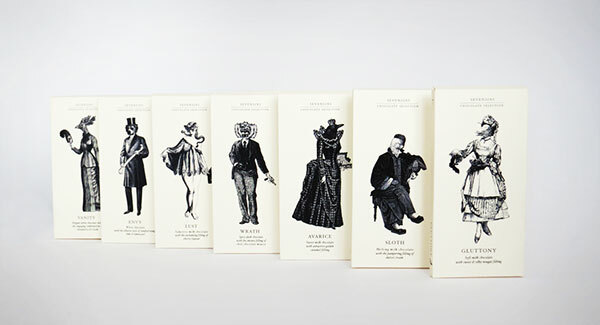 Zsofia Pressing designed the packaging for a limited edition series of myriad chocolate types infused with unique flavors and characteristics according to the seven deadly sins. 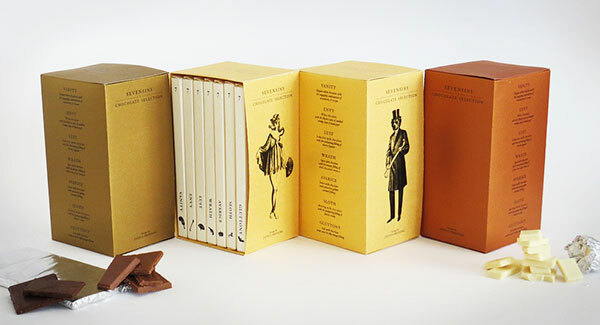 With their romantic and sheer elegant design, that brings to mind the especial ambience of the Victorian-era, these classy chocolate boxes make up a perfect gift for any occasion and prove that passion can only be gratified through indulgence. 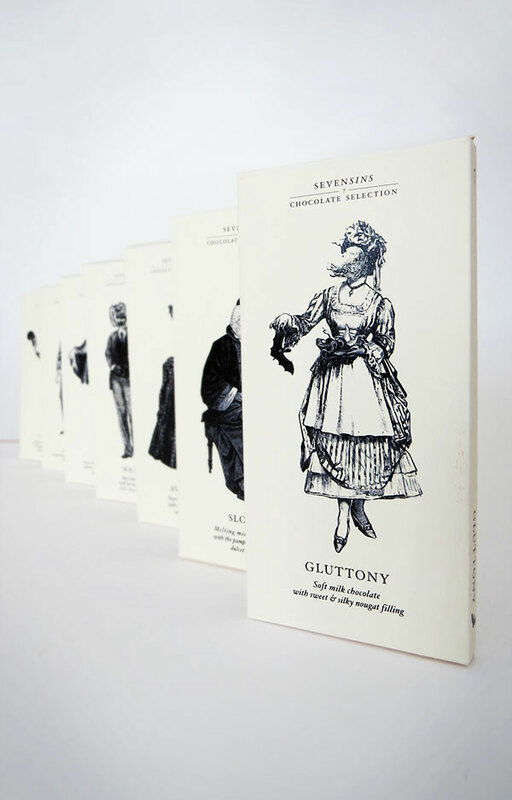 Sporting an eclectic blend of the most common human natures and scrumptious flavors and fillings, combined with the witty descriptions, caveats, and medieval illustrations pertaining to each sin on every box, these chocolate packages are bound to stir your blood in the cold and offer the perfect entertainment as you munch on these delectable treats in front of your parlor hearth! DESIGN CREATIVE FLYERS FOR YOUR WINTER TREATS! Chicken soup for the soul! When you catch a cold, or are simply yearning for a bowl of steaming comfort food, nothing can beat the warm embrace of chicken soup. 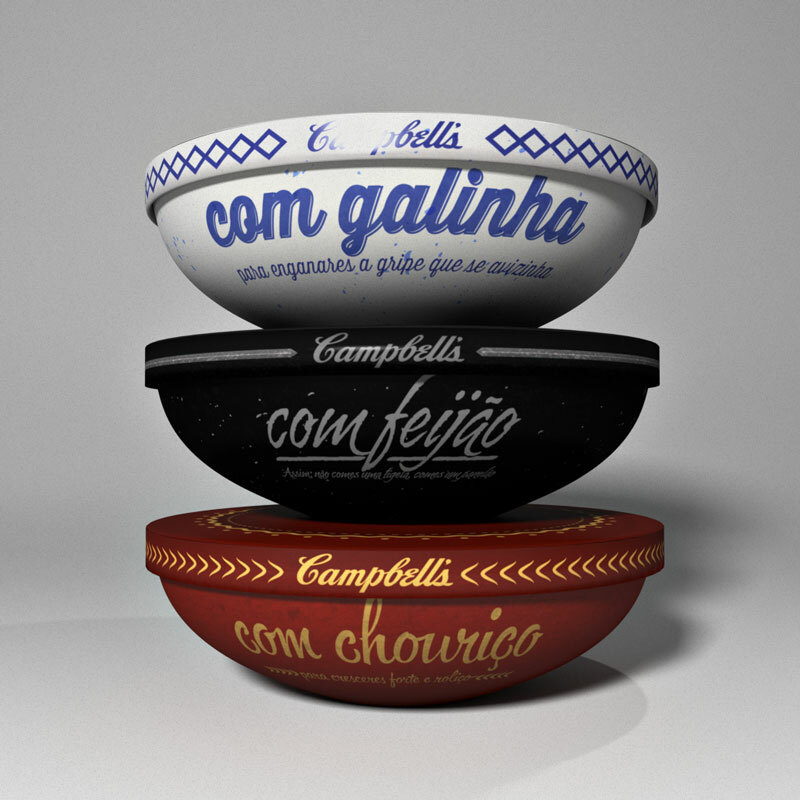 Campbell’s Portuguese Soup Packaging, designed by Jorge Martins, offers the perfect convenience for consumers who crave ready-made, on the go soup. 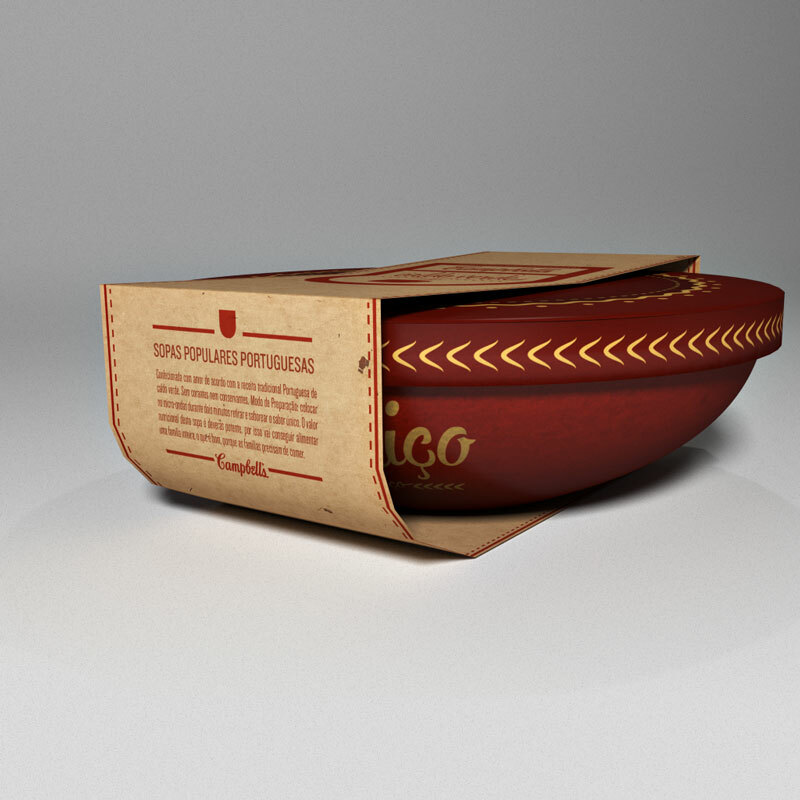 The beautifully designed packaging alleviates the need for bowls, and are encased in a simple brown packing that enlists all the essential information about the product. 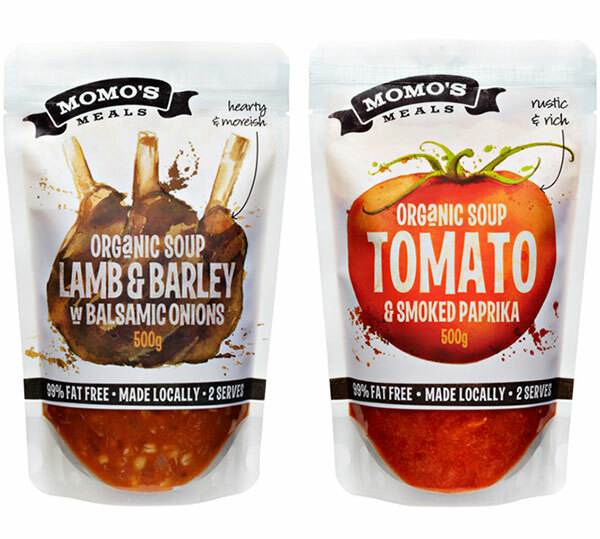 The bowls come in three colors to give consumers more options when it comes to their soup! 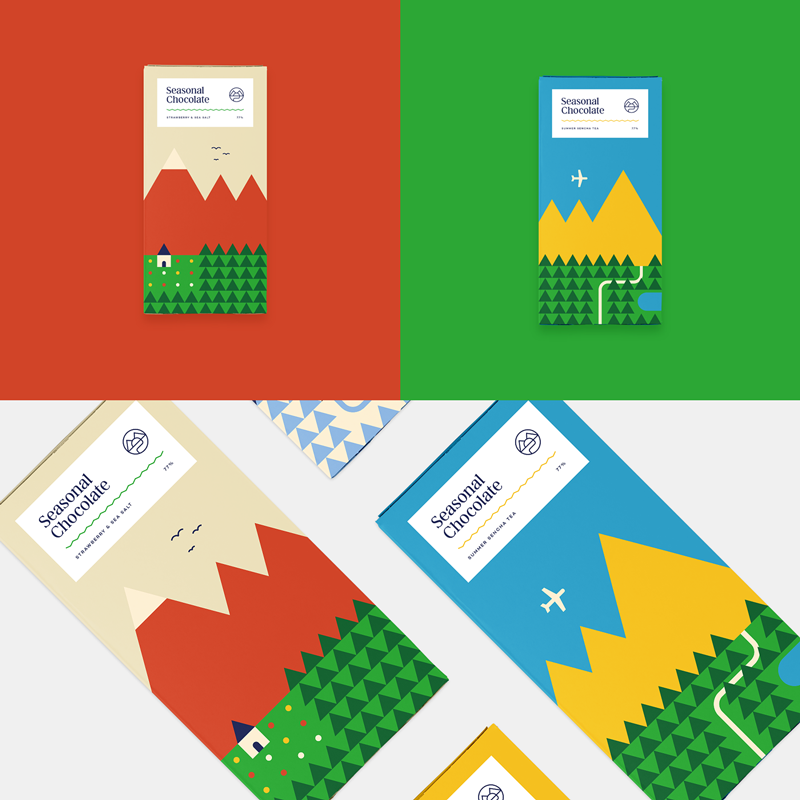 When you make packaging an extension of the product, it gives that little extra something that makes consumers feel drawn to you. 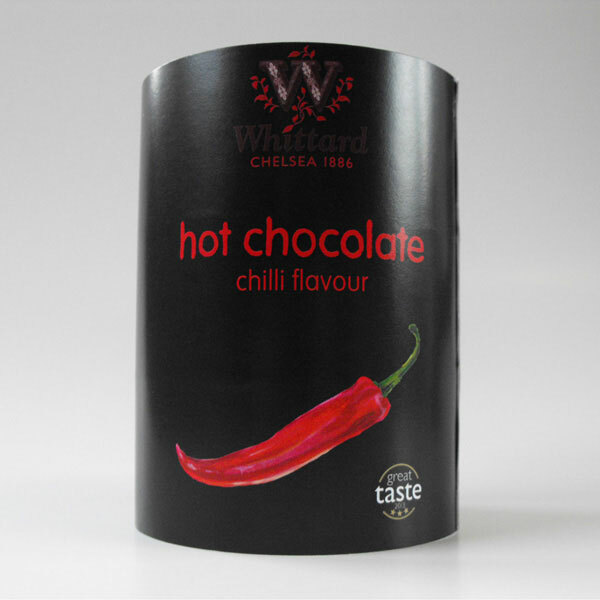 A great packaging idea is to relate some aspect of your product to the packaging and ensure that your packaging subtly reflects the product. 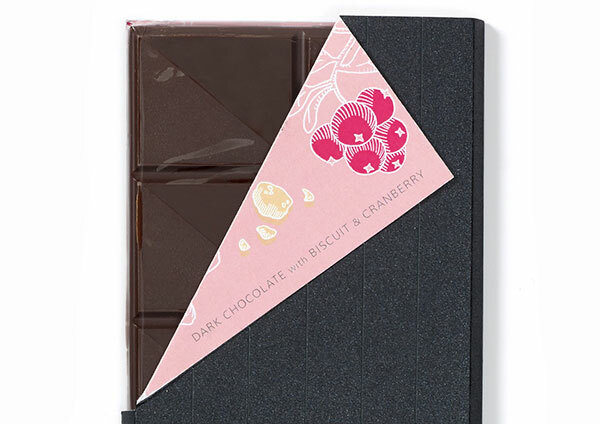 For instance, this amazing Organic raw chocolate incorporates only two ingredients; sugar and Cocoa in varying percentages. 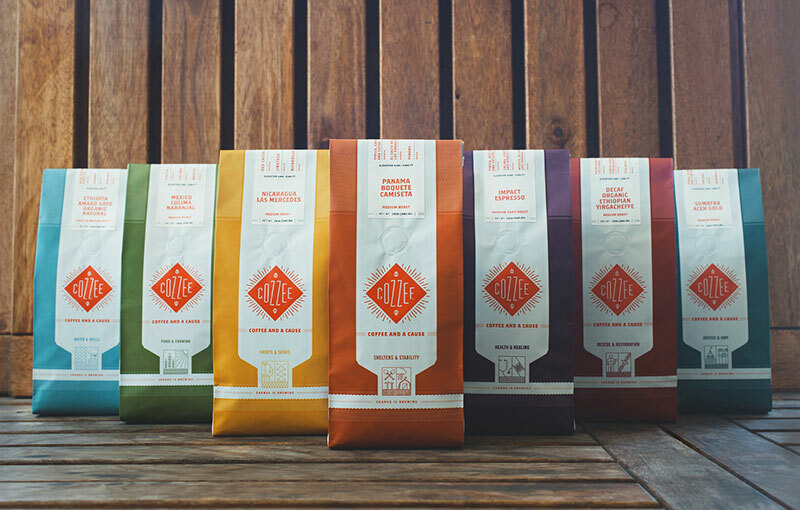 The design agency Happycentro designed the packaging system and a visual identity with the same straight "recipe": a "luxury" metallic hot foil over a "cheap" raw cardboard! 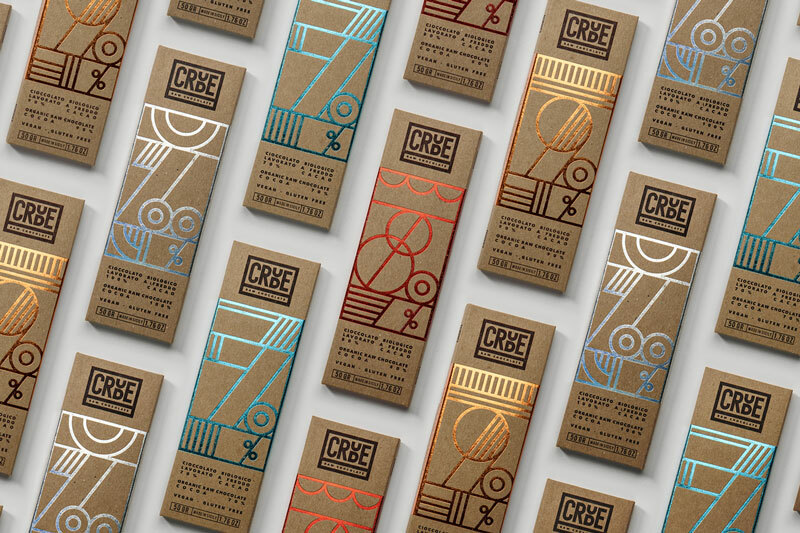 The foil overlay spells out the percentage of cocoa contained within each packet and lends a touch of elegance to the otherwise “CRUDE” design! 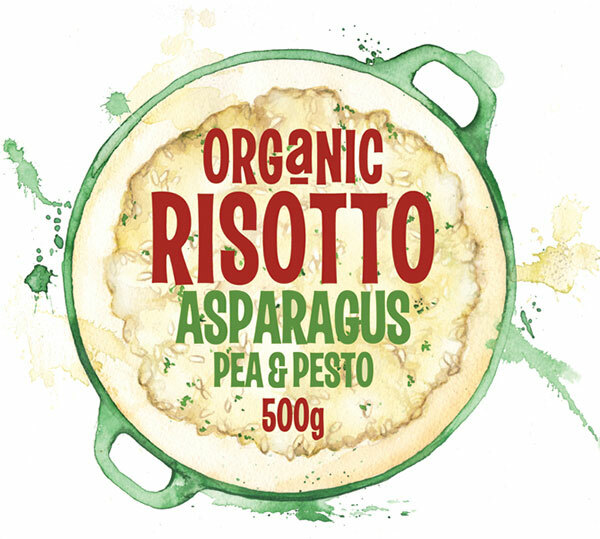 Where food products are concerned, people hardly tend to believe the super-glam and extravagant images on the packages; it’s incredibly important for them to be able to see what they are getting. When you are unable to sneak a peek inside, you can only guess at what’s possibly lurking in boxes and bags. 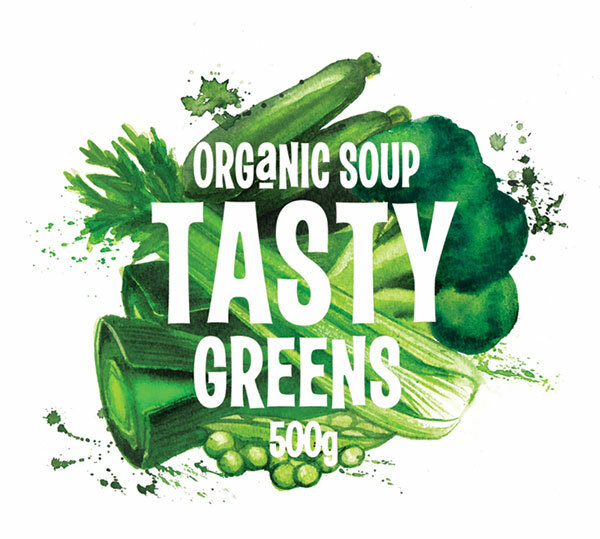 These scrumptious soup bags, designed by Georgina Luck, come with a cut out window so you can see exactly what you’ll be slurping for dinner. 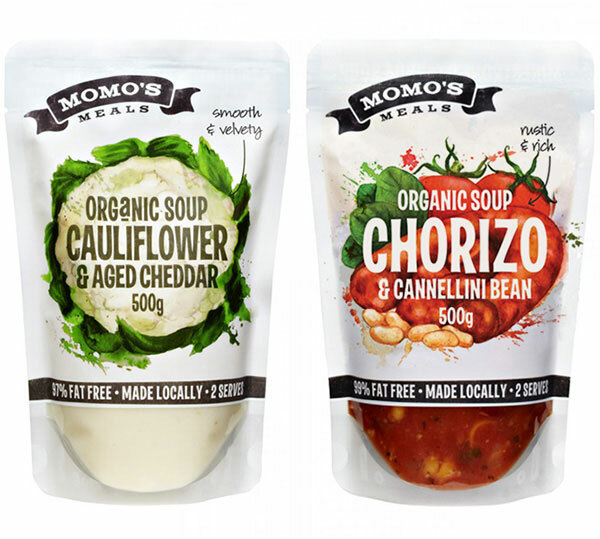 Once you get the product home there will surely be no surprises, and you can easily venture a guess at the quality, consistency, and texture of the soup just by looking at it. 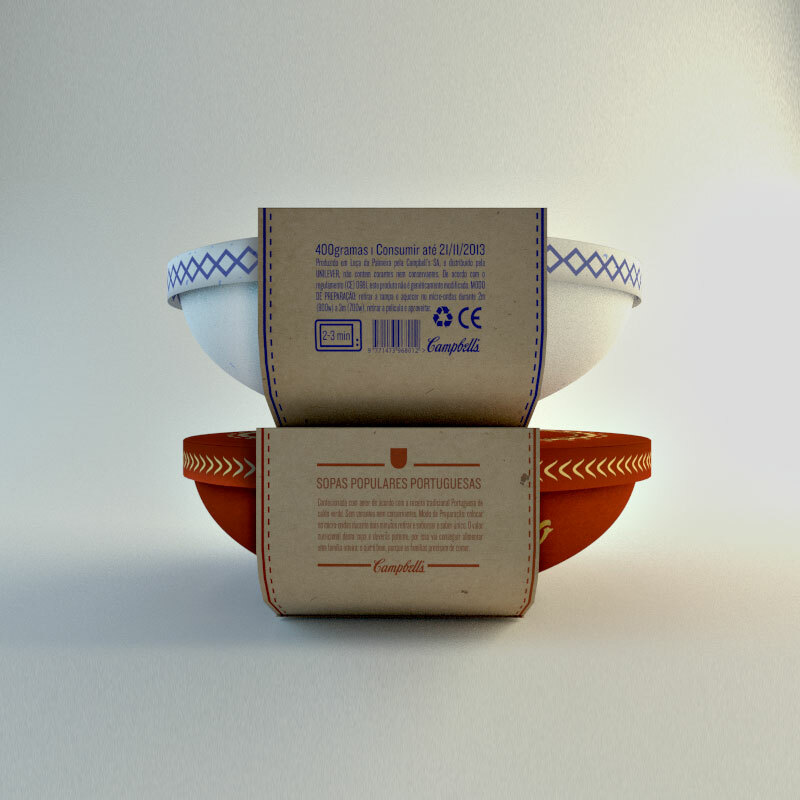 In addition, the packages feature images of the soup ingredients so you know exactly what went in your soup. 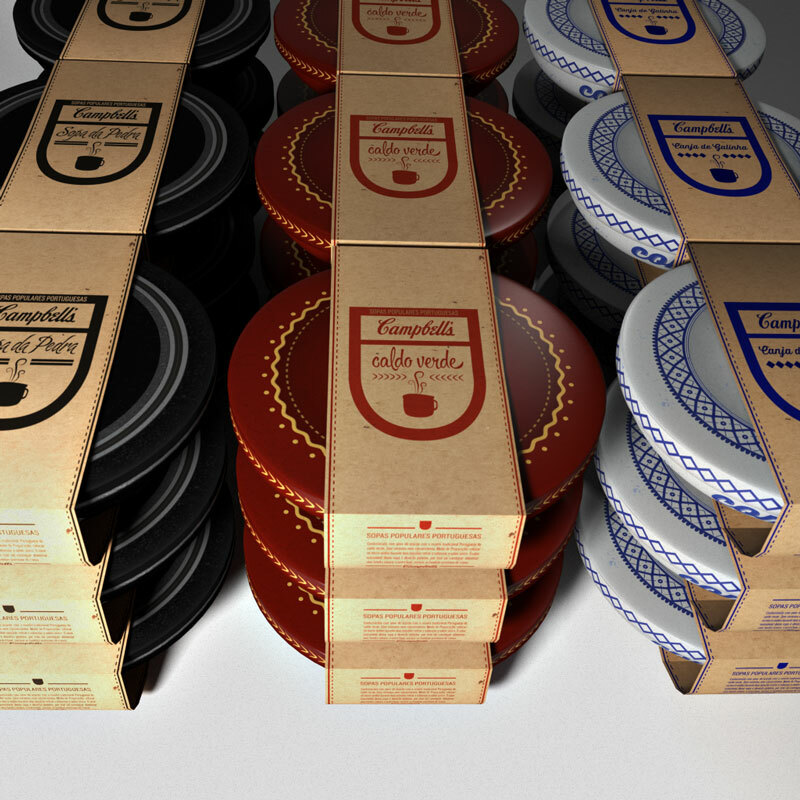 If a brand offers several choices in a product line, tweaking the packaging to cater to each product works wonders. 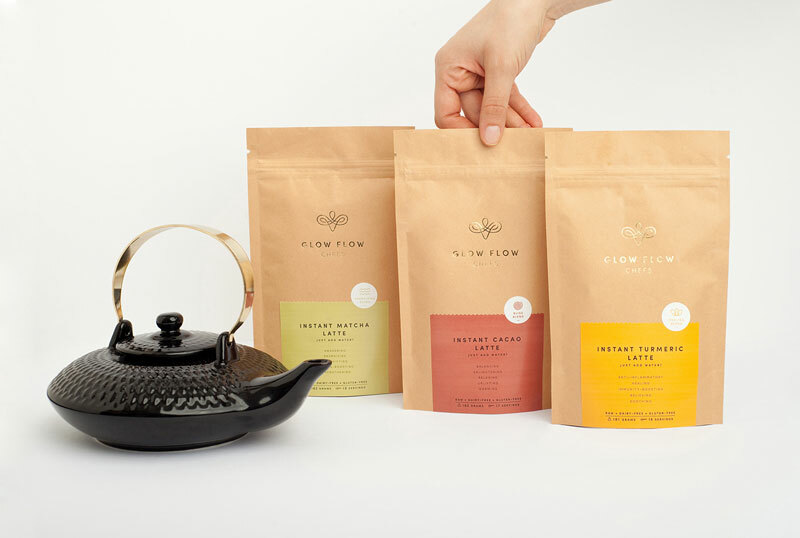 For instance, Glow Flow Chefs is a commendable online platform that offers carefully crafted products and valuable advices to boost life and seeks to remind its patrons that they carry the power to change their lives- to become a magnet for love and abundance, to find their purpose, and to regain their confidence. 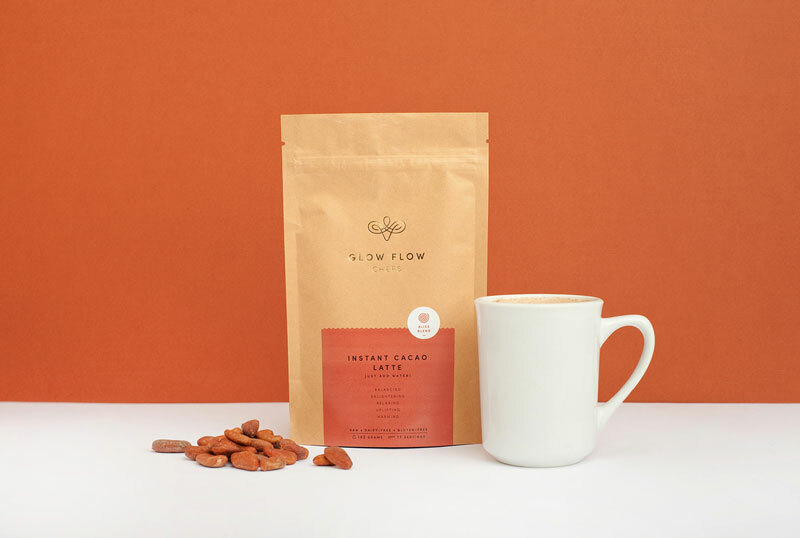 The identity system and packaging of Glow Flow Chefs, designed by Menta, is simple, earthy as the latte inside, unassuming and without airs, and above all, reflects the product flavor each package contains. 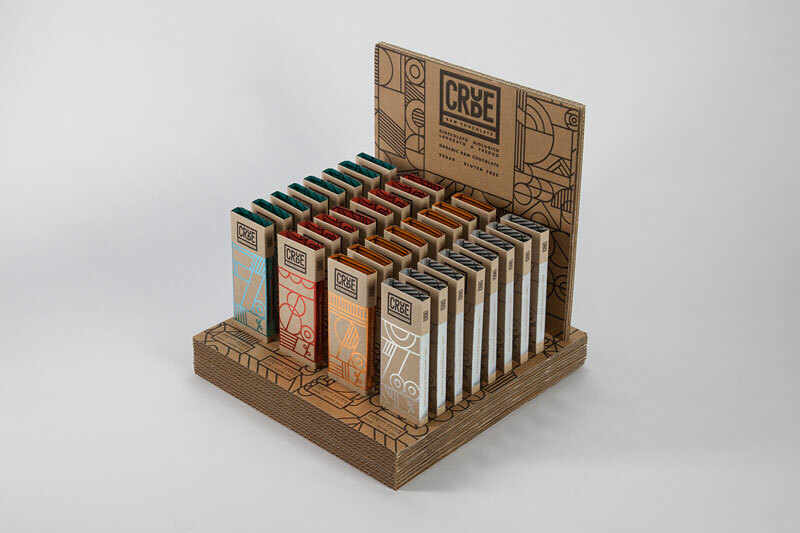 By tweaking the color of the product labels, while keeping the rest of the packaging unadulterated, the product line appears highly integrated while still incorporating an essence of its core flavor ingredient. 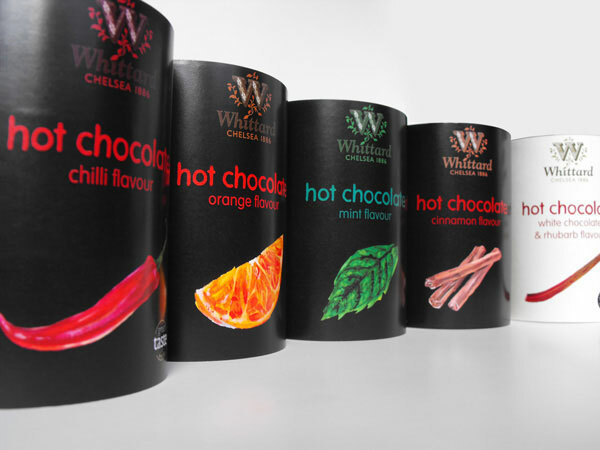 Have your pick, brew up a hot drink, and while the cold away! 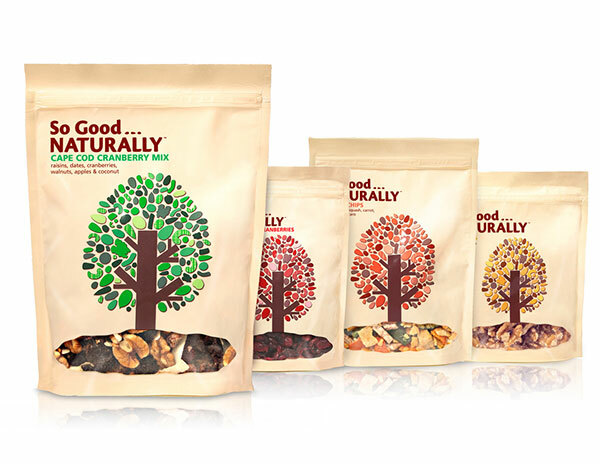 When you combine sales with the good of humanity, people flock to make their contributions while enjoying the richness and lusciousness of your product. 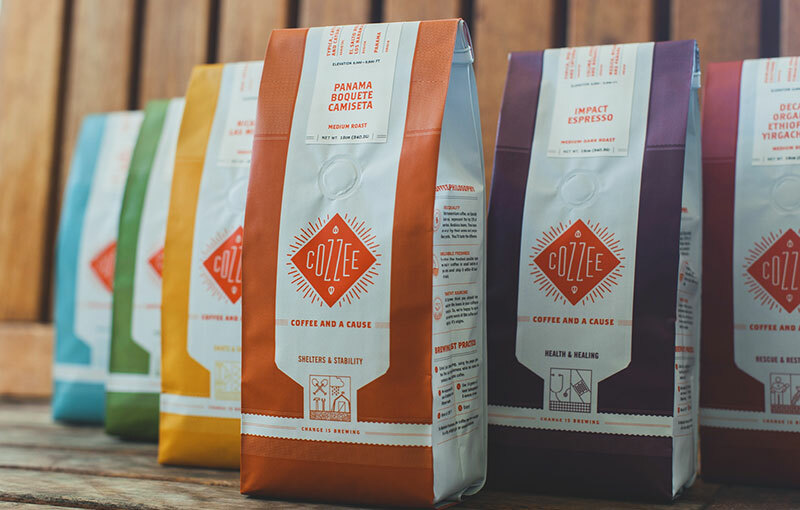 For instance, Cozzee is a social good company selling novelty coffee online and the profits from each purchase go in to fund one of the seven commendable humanitarian causes that the customer chooses. 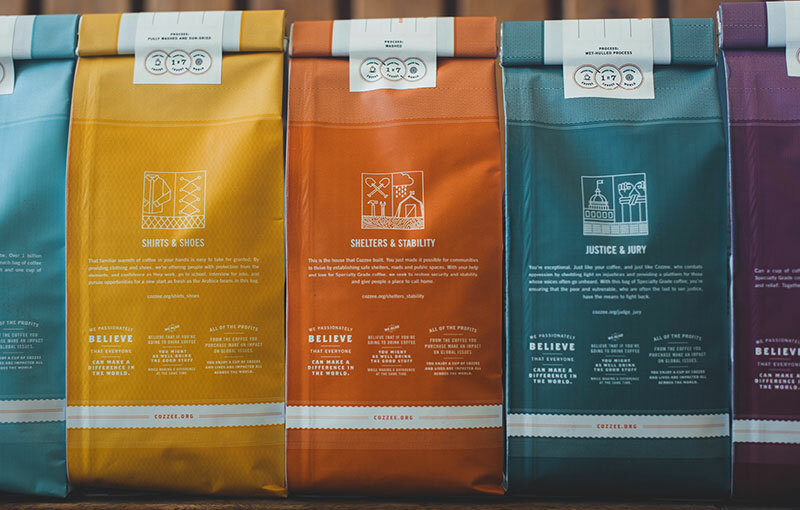 Each particular bag, designed by Cody Small, lists the cause it is raising funding for, which allows customers to choose a coffee package to show their support for that cause. 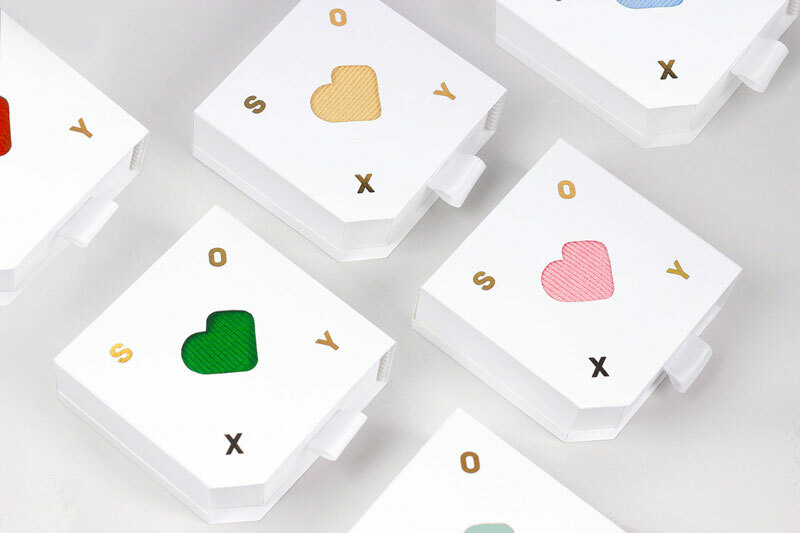 Each cause is color coded to distinguish myriad cause-branded bags, which even incorporate illustrations on the bottom pertaining to the particular cause. What do you crave most in winters after a hot fire and a steaming cup of coffee? 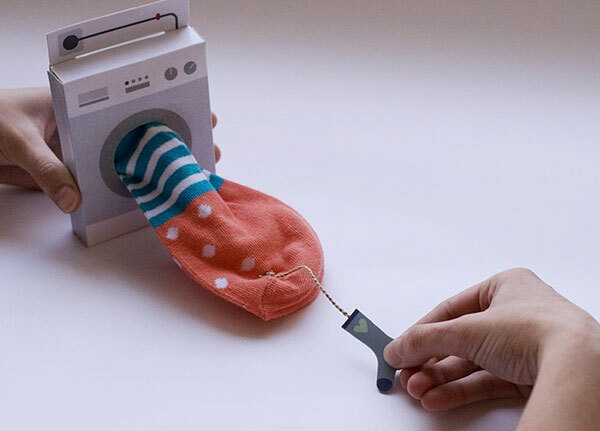 A pair of washed, clean smelling, dry socks. 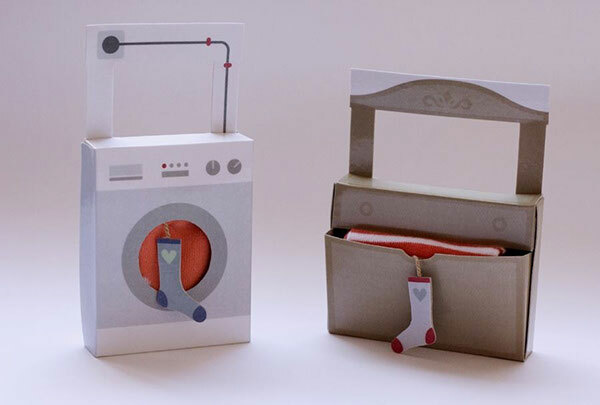 Such socks come right out of the washing machine, and so the socks packaging designed by Michaela Romanová perfectly mimics the feel of pulling out fresh socks from the drier. 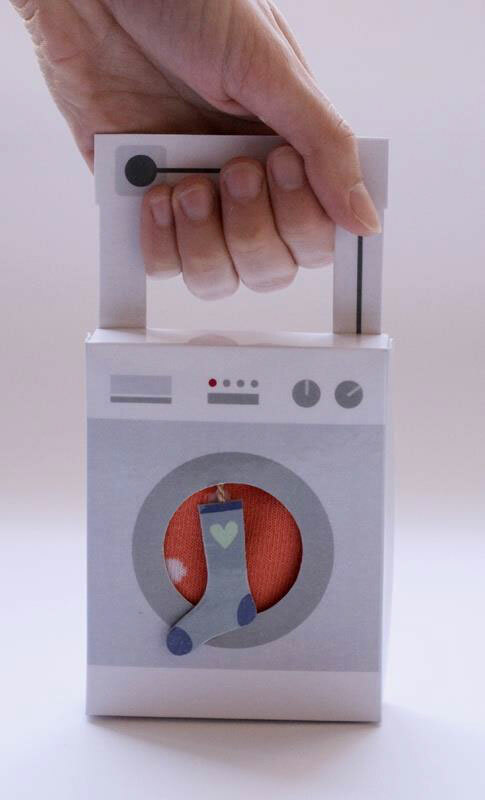 The adorable washing machine packaging and the tiny sock tab to pull out your pair, make it absolutely hard for anyone to pass by this product without making a purchase. 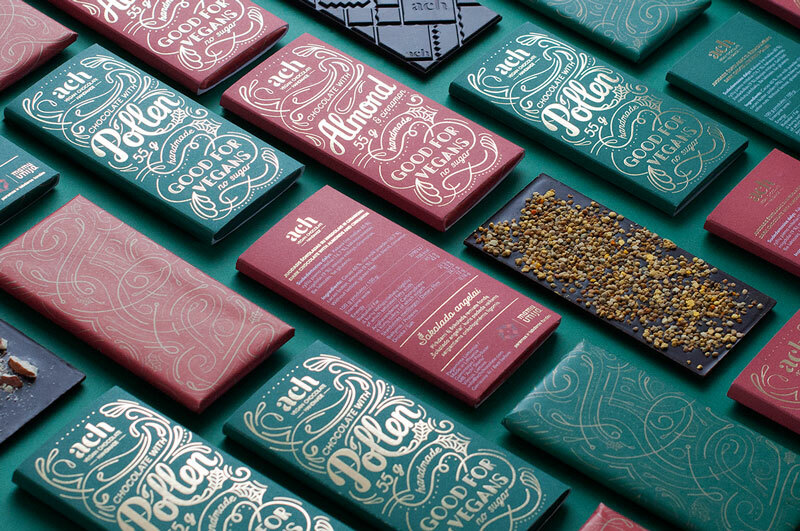 Another great way to make your product appear dynamic and personalized is to customize your packaging for each season, just as Jaroslaw Morawski has done for this chocolate brand. No matter the time of the year, you know there is a chocolate waiting right there for you. 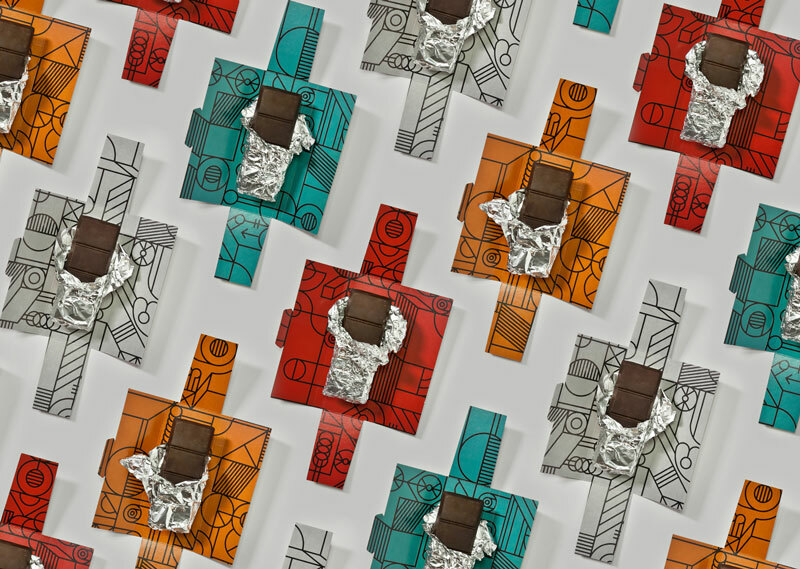 Right now, we are absolutely riveted by the geometrical renderings on the winter packaging, making this a perfect treat for the chilly season. Just as frosty as the packaging makes you feel (what with the snowcapped mountains and the bleak skies), the chocolate inside would make warmth spread right down to your toes. The contrast is mesmerizing! When is the best time to drink mulled wine? In the midst of chilly winters, especially close to Christmas (particularly after playing in the snow)! 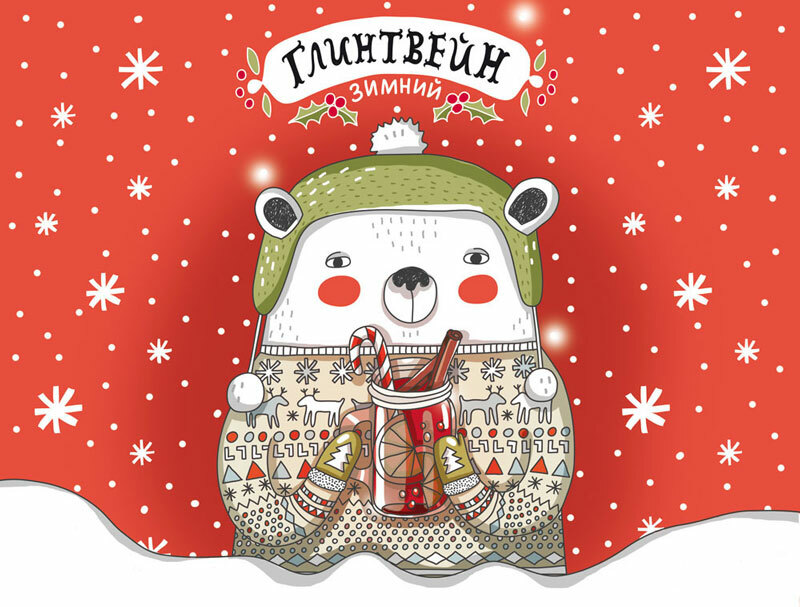 Since it is a universally known fact, the packaging for this brand of mulled wine, designed by Alena Zaytseva, is carefully done up in the Christmas colors, complete with the falling specks of snow interspersed with holly, and a polar bear dressed up snuggly in a Christmas patterned sweater, happily holding a glass of the warm, spiced, richly fragrant beverage in thickly gloved hands. 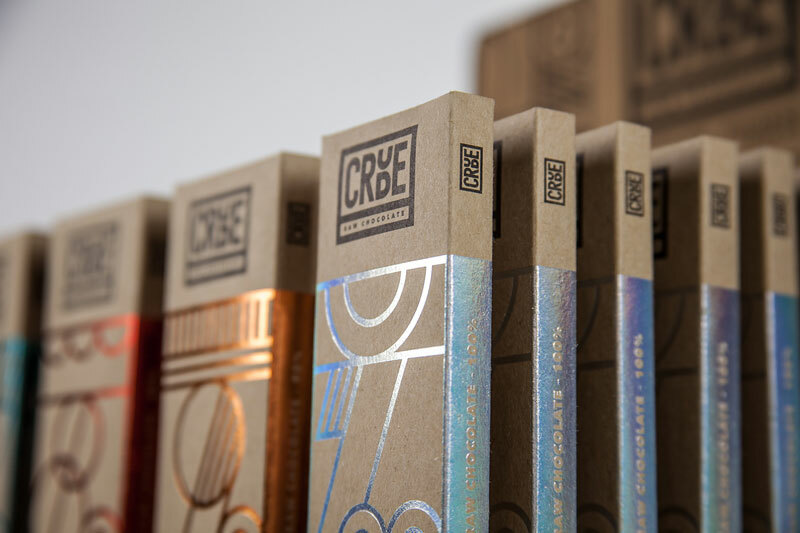 If a product is consumed in a particular season or on a special occasion, it is prudent to reflect it in the packaging to make your customers relate better to the product. A steaming cup of hot chocolate and chilly winters go hand in hand. In fact, it would be safe to assume that winters would be almost disappointing without the heart-warming beverage. 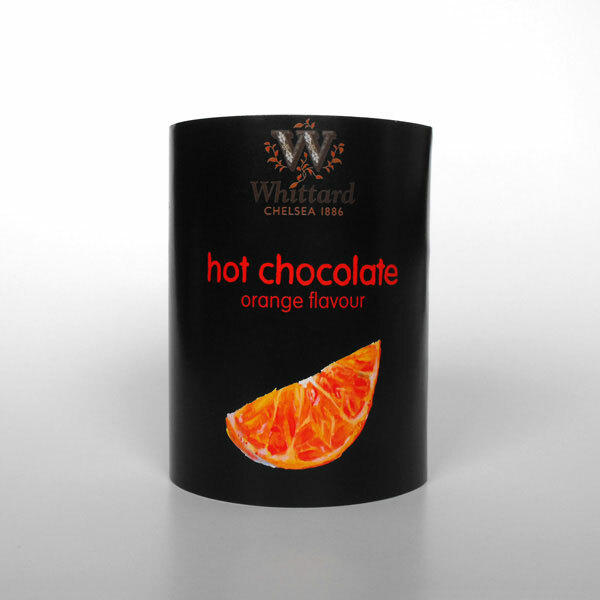 The hot chocolate packaging of Whittard by Loren Harrison plays on color contrast to provide a stunning design. 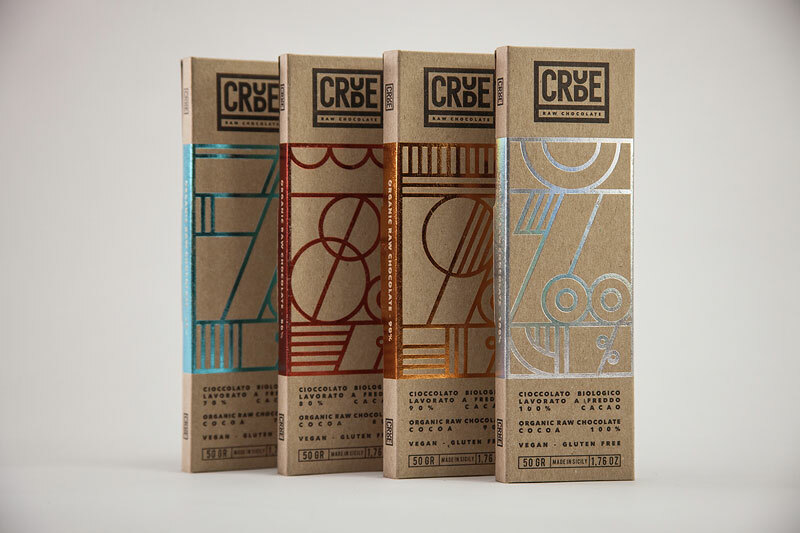 Each package incorporates a 3D, vivid, and textural illustration of the flavor ingredient and the text label on the packaging is done up in the same hues to match the overall design. 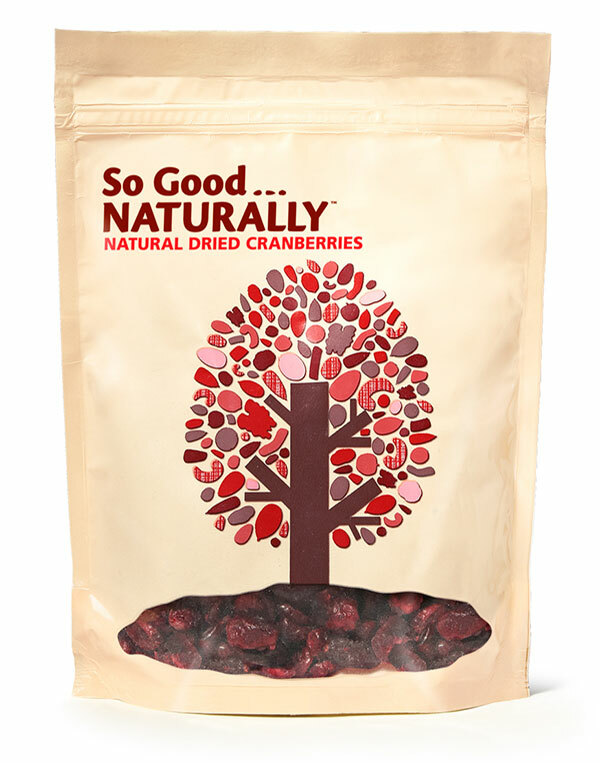 When it comes to edibles, nothing pleases the customers more than knowing where their food has come from and how healthy and natural it is promised to be. 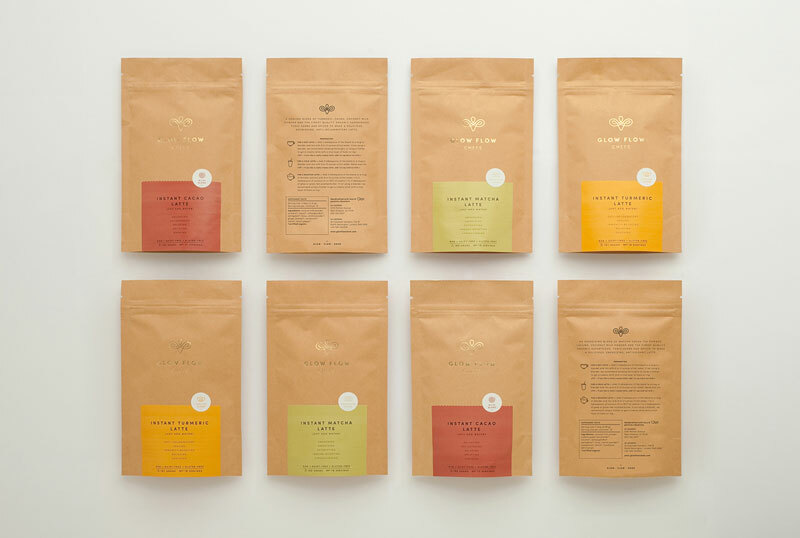 The dried fruit packaging by Arianna Toft incorporates a tree icon, constituting all the myriad ingredients found in the different snacks. 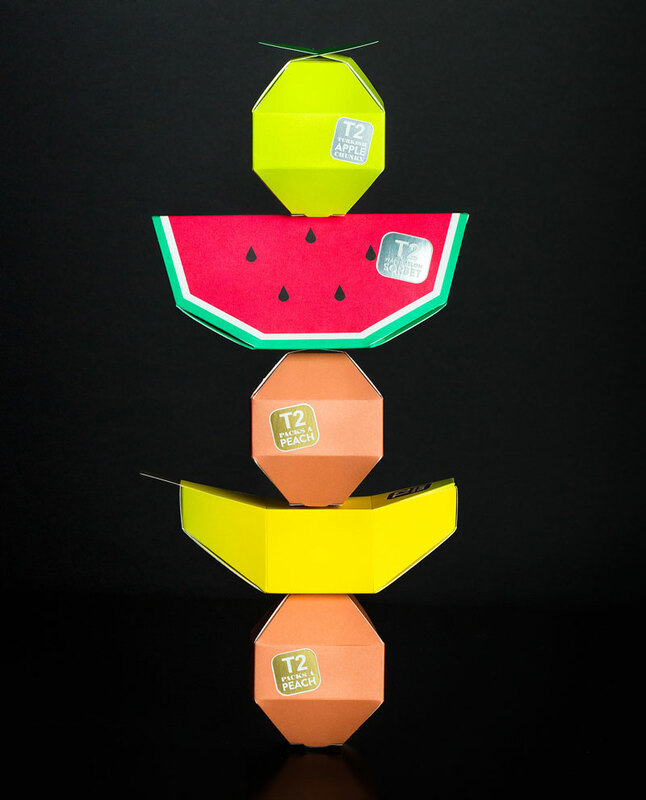 A small window at the bottom reveals the products contained within the packs, giving the illusion of the tree growing right from the product. 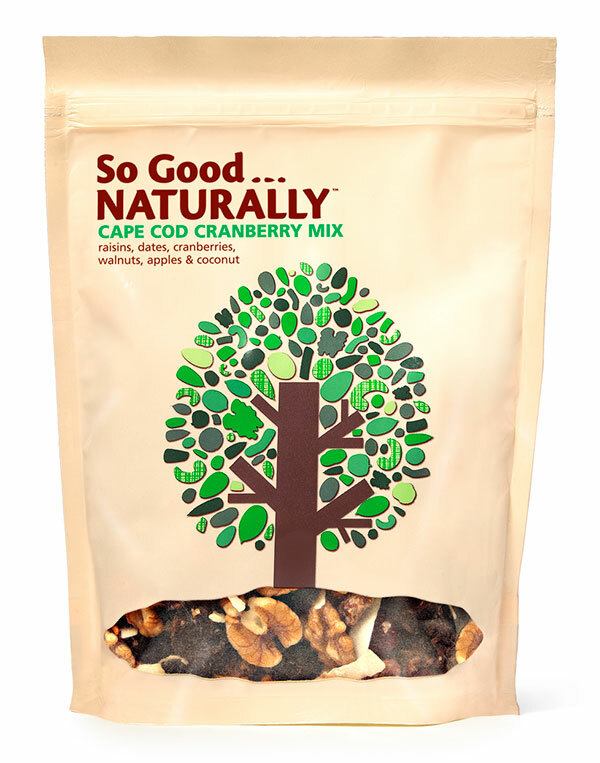 Not only does it reinforce the natural quality of the ingredients, it allows the customers to see what they are buying before they make their purchase. Munching on crunchy, salted nuts in winters, while idly lounging in front of the fireplace, is one of life’s greater pleasures. Even more fascinating is the ritual of cracking open the nuts to reveal the scrumptious delicacy beneath. 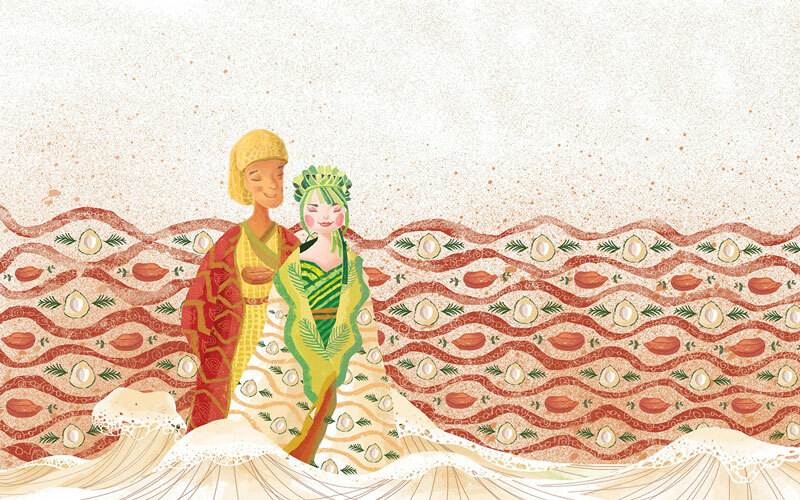 In order to pay ode to this wonderful ritual, this packaging for pistachio nuts, designed by Maija Rozenfelde, voices a narrative in every detail. 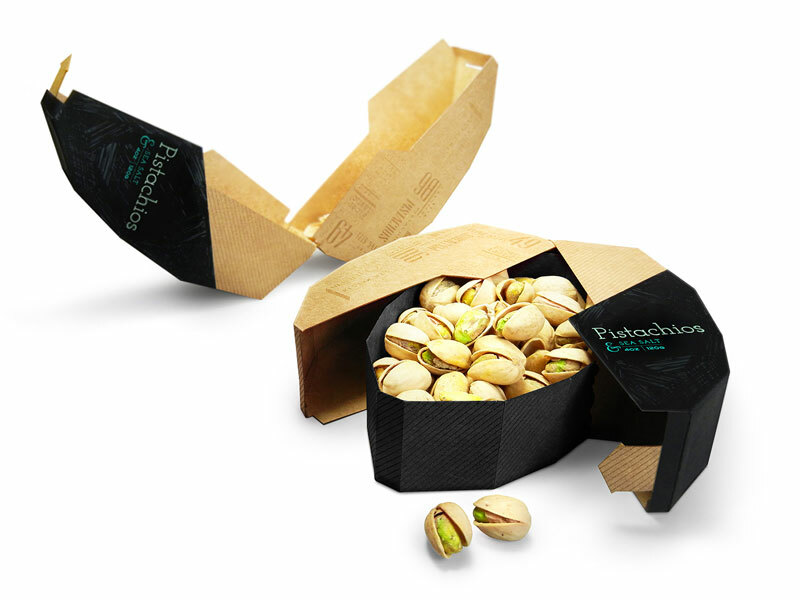 The opening mechanism and the uncanny shape of the packaging (A giant pistachio) depict the crunchiness of the nuts and make the mouth water by simply looking at the box. 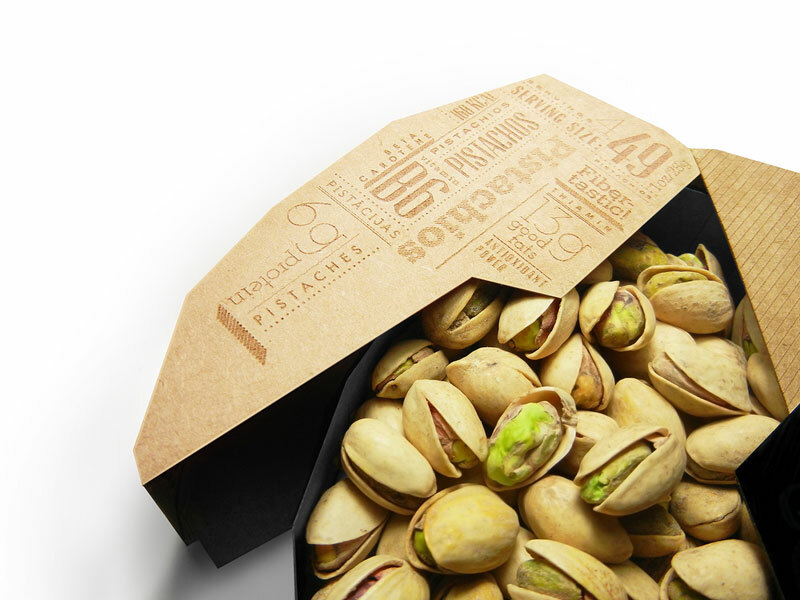 To enhance the user experience, the inside tray of the package holds pistachios and the outer tray separates to form a tray for the shells; a convenient and mess-free way to enjoy pistachios instantly. 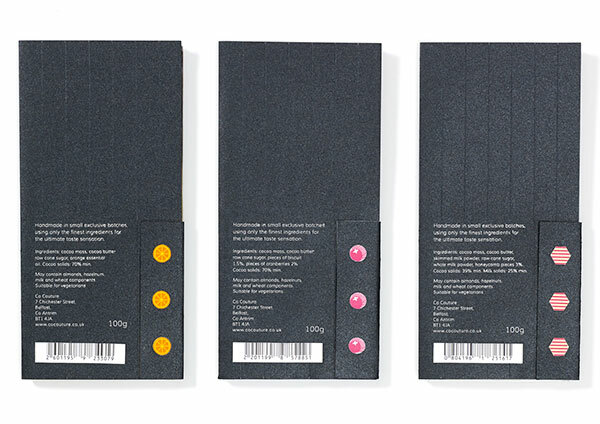 The essential nutrition facts are engraved on the design to make them visually appealing and highly legible. 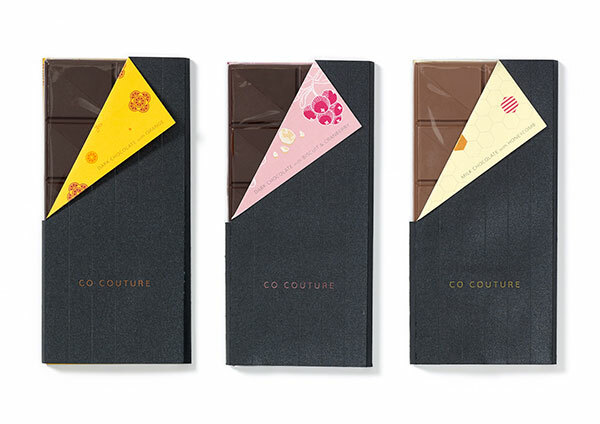 While most designers simply focus on decking out the exterior of the packaging, co-couture chocolate packaging, designed by Helen Mak, has incorporated a small surprise for the consumers when they peel off the wrapping from their chocolate. 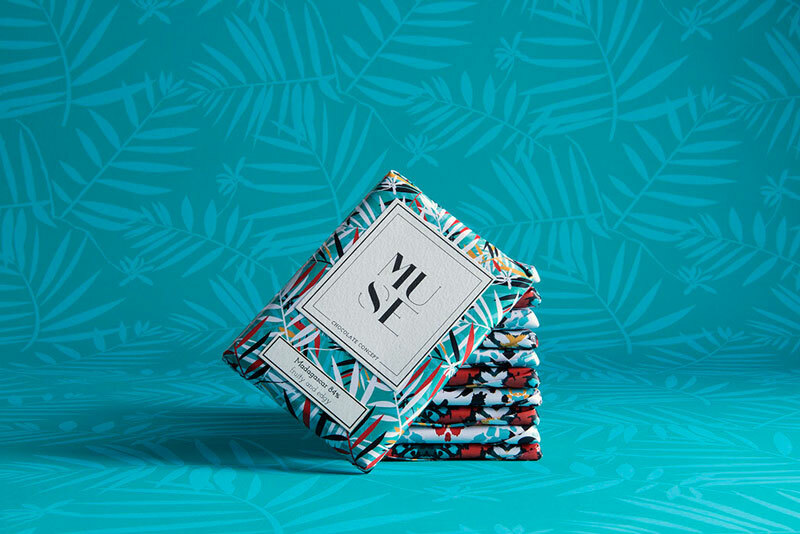 The folded over collar hints at the flavor of the chocolate with the designed print, and the print extends over the entire inner layer of the packaging, while the exterior has been kept rather minimal to anchor the overall design. 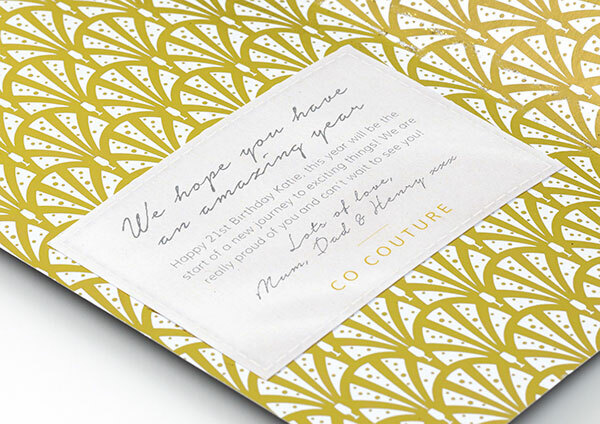 The text on the collar has been manually foiled, while the Pinstripes have been created employing an embossing tool. 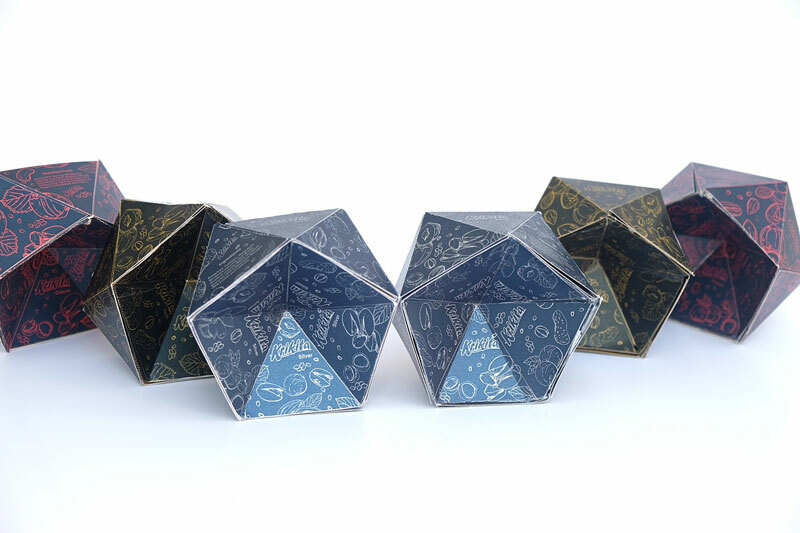 Here’s another surprise; each wrapper contains a personalized note which would greatly delight the consumers and make them feel special. Lazy and indolent winters are the perfect time to indulge in your snack cravings! 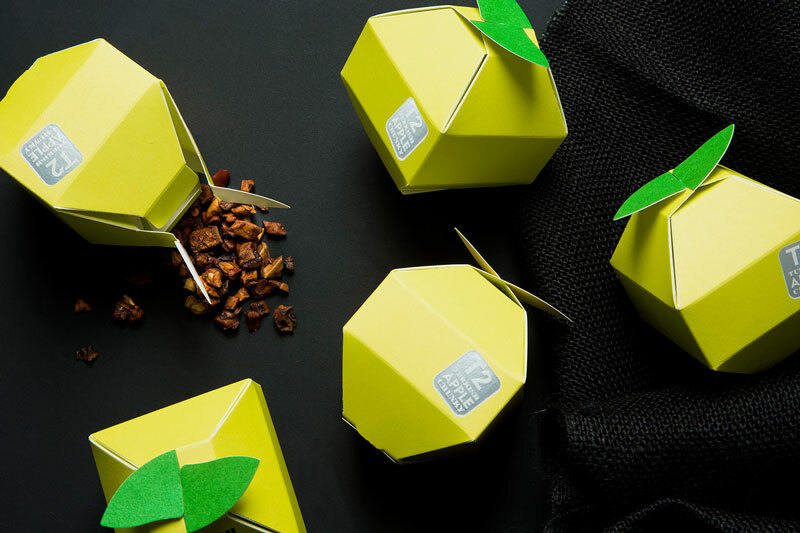 However, instead of simply packing away the small goodies in run-of-the-mill bags, some brands think out of the box to enhance the consumer experience which extends way beyond the simple taste of the product. 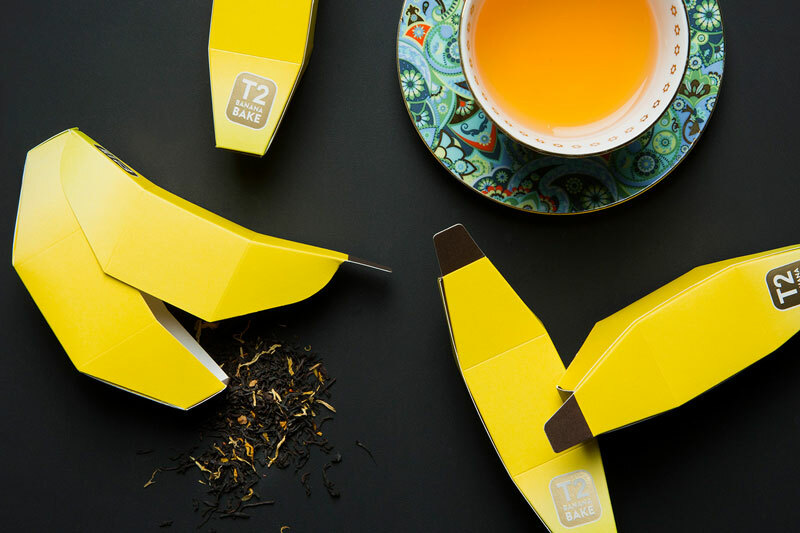 For instance, the tea mini fruits packaging by Christopher Stanko, packs away each dehydrated fruit snacks in the shape of a container which resembles the actual fruit. 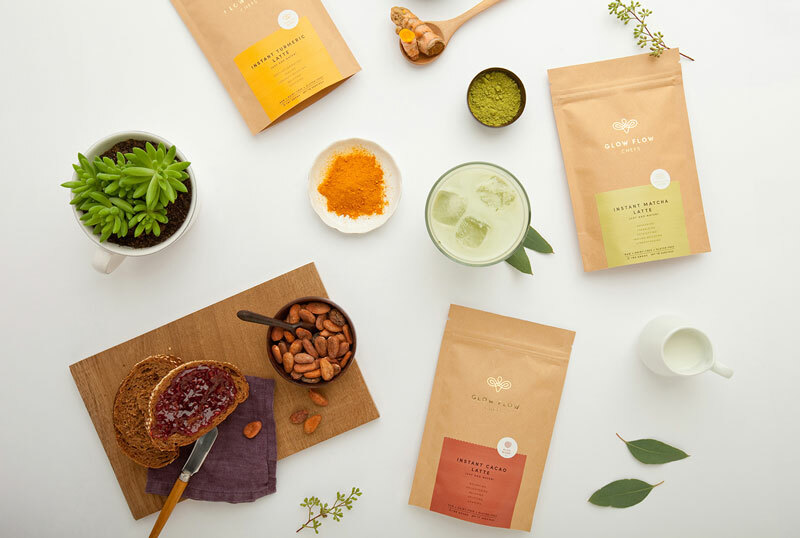 This gives the impression that the snacks have indeed been prepared from real fruits and hints at the freshness of the products. There’s nothing consumers love more than when their dilemma has been addressed by a brand. For instance, the problem of disposing off the nut shells, where people out of laze resort to unpractical and inconvenient solutions such as tossing them out the window. 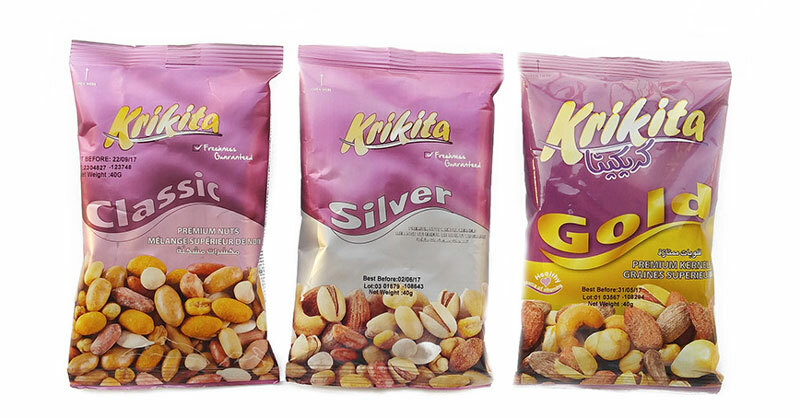 Krikita nuts packaging, designed by Rami Rikka, has a design where the upper part of the package gets separated from the lower one, so that it becomes a makeshift holder for nut shells. 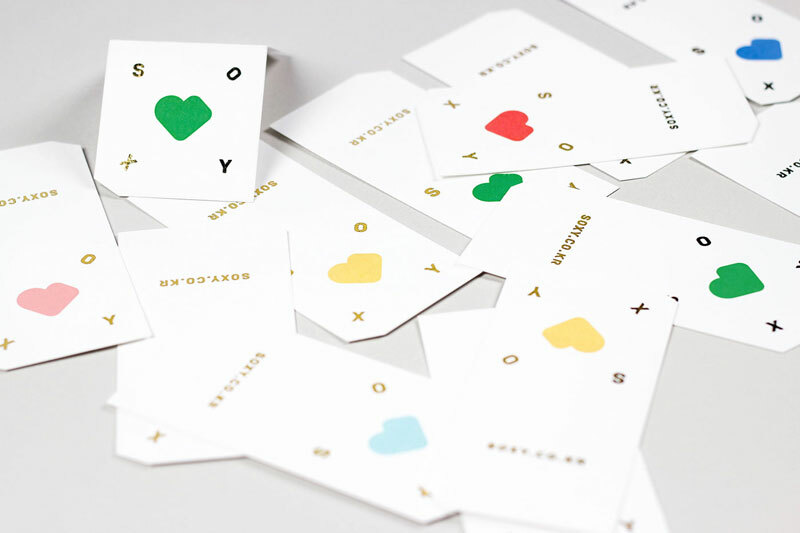 The visually aesthetic structure of the design is made up of geometric forms that are pleasing to look at. 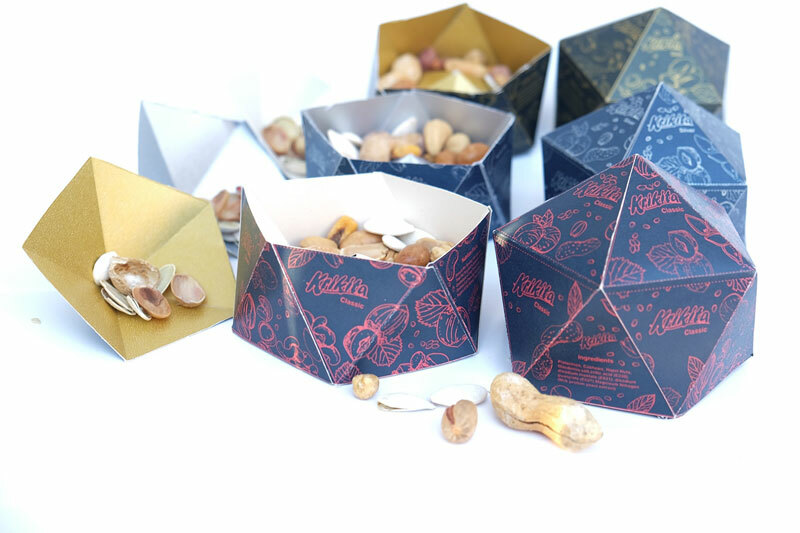 If you notice the design details on each packaging, the graphics employ patterns of the nuts to portray what consumers may find inside. Snacking on dried peanut mix is one of the greatest charms of winters. 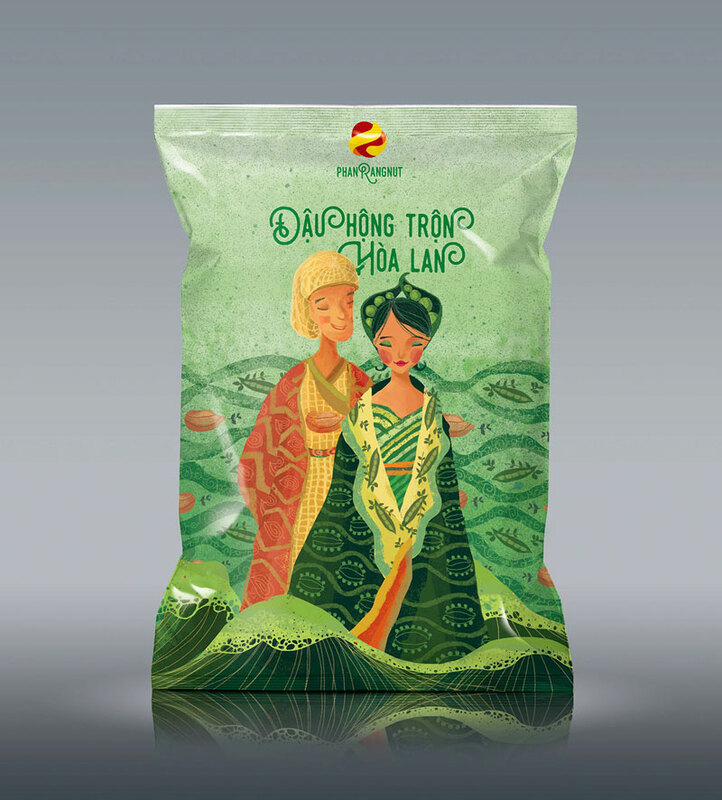 To enhance the experience and turn it into something regal, this packaging design by Nhan Nguyen incorporates Egyptian inspired art using the constituents of each packet mix. 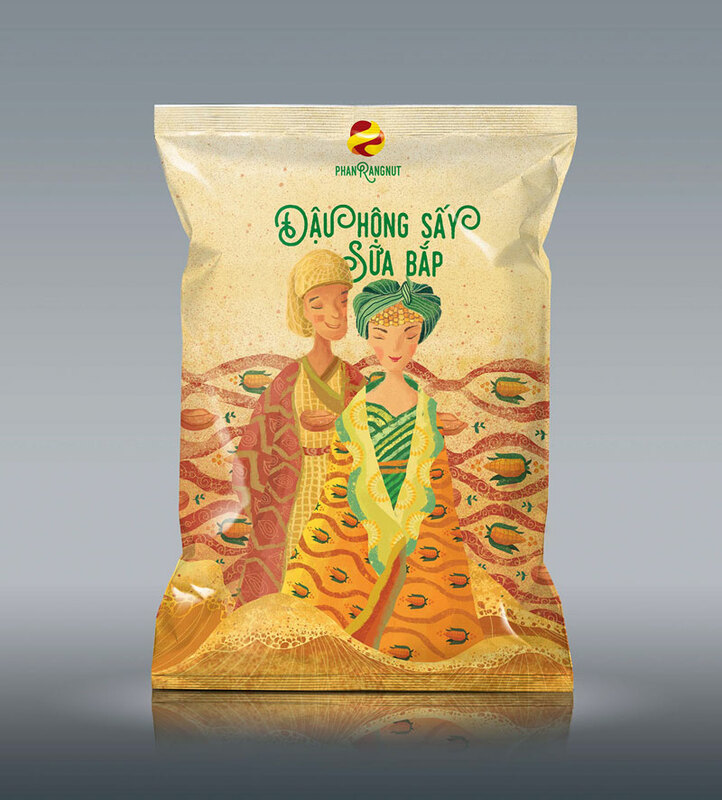 From the colors of each packet to the attire adorned by the illustrations, each design element reflects the constituents of the packet. Drizzle it over ice-cream, slather it over a toast, or simply devour it raw, peanut butter is one of the most versatile treats of winters. 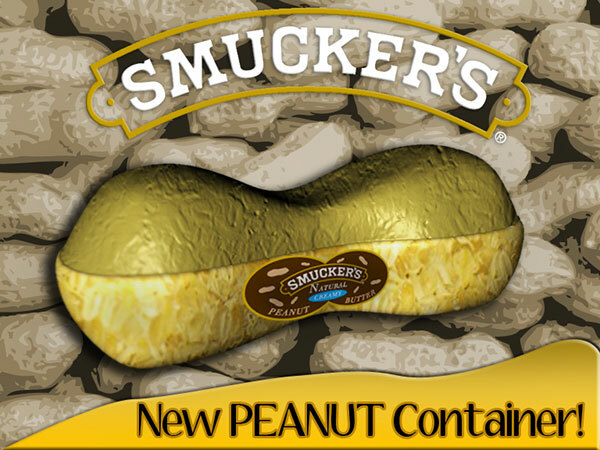 While everybody loves peanut butter, Smucker’s serves theirs in a giant peanut shaped container, designed by Michael Saunders, to enhance the luxuriant, peanut-y essence of the treat. 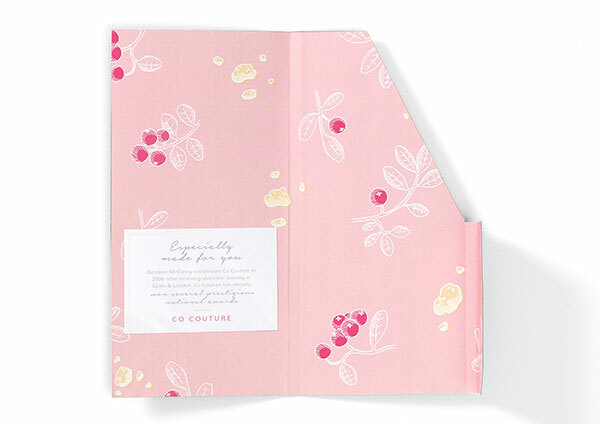 Do you know any more packaging ideas that can lend charms to winter treats and essentials? Do let us know before the snow starts melting!